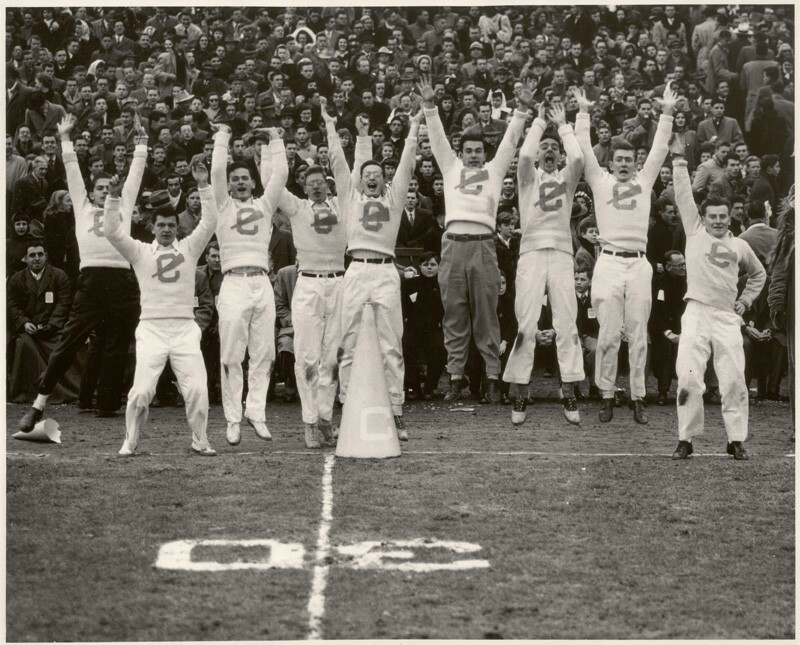 Photograph of cheerleaders at Columbia football game, undated. Photo from Alumni News. Scan # 1187. University Archives.